The truth is, I feel like this space online immediately reflects my home life, the things made, decorated and eaten. And I've been so busy lately that I feel like I have to make myself pause to catch my breath. I'm still making and eating, but it's last minute and inspired and not worthy of recording. Gone are the days (at least for now) of watching over sprouting wheat berries and growing microgreens in the dining room. Fall bread baking has picked up, a few loaves make their way onto Facebook or flickr, but most are only enjoyed privately, a few make their way out the door to others that I've baked for. Whenever I start to get that rare feeling that I don't know what to do with myself, work comes in by the wheelbarrow load, and that is exactly what has happened to me lately. I do my civic duty as a poll worker, which for the upcoming presidential election includes early election voting shifts at our city hall. I bake treats for church parties. I help out with some catering and shifts at a cafe a friend owns. And make time for a visit from my Mom, some trick-or-treating, attending birthday parties, and just today a walk up to the Kiddo's school to share lunch. I have also started revealing to people that I have been "hired" to write a small cookbook on canning and preserving! It's my first real writing and photography gig, and I have a short deadline. Any free moments are spent reading tech-heavy books on digital photography to improve my photos for this project. I'm thankful to know just enough people in just the right areas of expertise to be able to shed welcome glimmers over my overwhelming naivety in all aspects of such an endeavor. This is indeed the best schooling I've yet to receive. But I confess that I'm not used to being so busy, not used to having to schedule in my laundry-doing and bathtub-scrubbing. 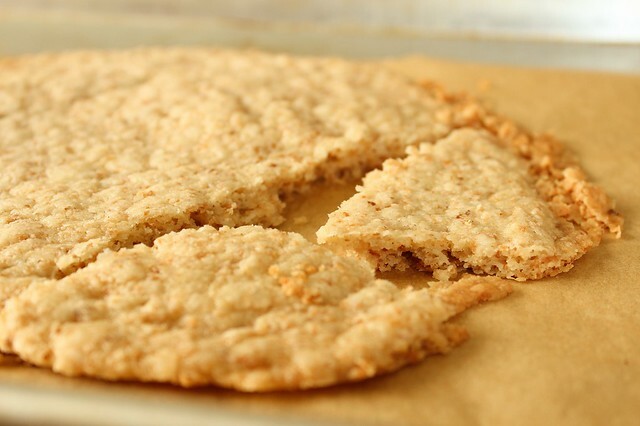 Take for instance this gluten-free shortbread that I was trying to master. It began 2 weeks ago, when I had ripe mangoes to use up and wanted to concoct a fruit dessert to share with a neighbor. Using a base recipe, I replaced the tart crust's flour with a GF version of homemade flour I lifted from a recent read: Artisan Gluten Free Cookbook. I really enjoyed reading this book, and intended to make all kinds of things from it for a full report. That will have to wait I guess. All I was able to manage was the all-purpose flour blend, which upon first trials seems to be very nice. My tart crust went unaltered from the original Gourmet recipe except the GF flour addition. I froze the crust for a couple of hours, and popped it into the oven - docking it with a fork about 20 minutes after it began baking... when I remembered that such things need to be docked. I glanced in at it and it was puffing up and actually, that was a happy accident, since I then took a stainless measuring cup and pushed the tart back into shape, creating a much neater finished appearance. What I didn't enjoy so much was the mango filling, which I set with 2 teaspoons of gelatin and premium non-homogenized heavy cream. It was a bit vegetal; I couldn't help be feel that it would have been better served alongside some basmati rice. 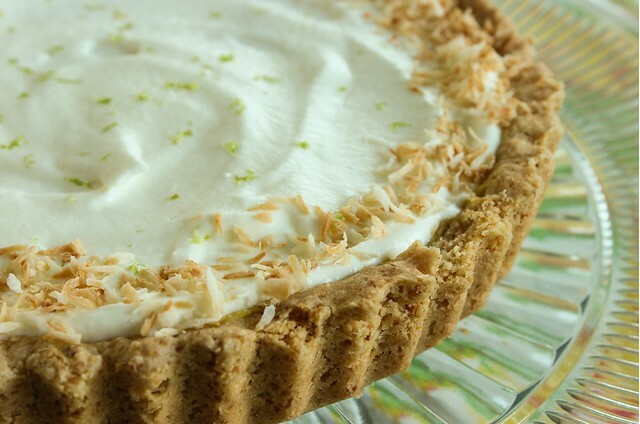 I tried to help it with more lime zest, and additional whipped cream, but it remains one of the things I'll revisit another day when time abounds. The crust, however, was genius. 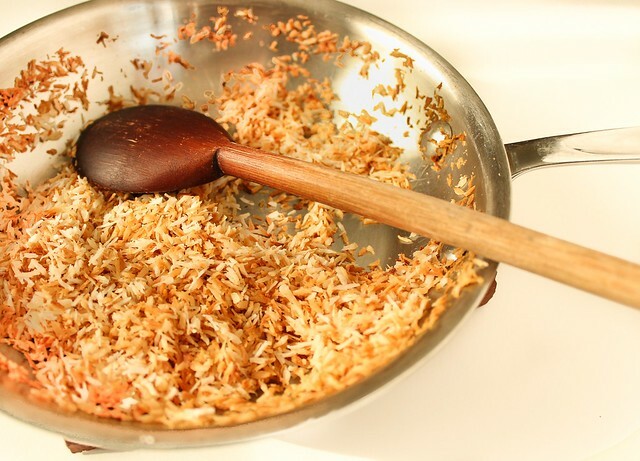 A melt-in-your-mouth toasted coconut shortbread. 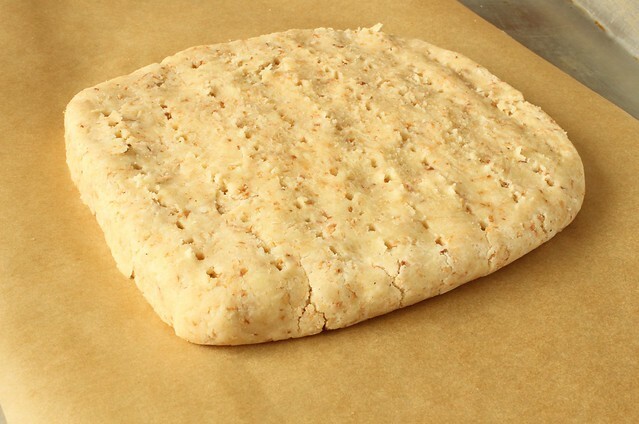 I googled "shortbread". Wiki told me that shortbread is 1 part sugar, 2 parts butter, and 3 parts flour. I never knew that! And sure enough when I made the time to weigh out my next trial, it was exactly the 1-2-3 ratio. I needed to add 1/2 teaspoon of water to help my gluten-free version come together. Unfortunately in my haste I made the cardinal mistake of shortbread: I forgot to get it nice and cold before baking. For the record, I used 44g. sugar, 88 g. butter (which was just about 7 tablespoons), and 130 g. GF flour (of which the GF flour weight was added to the 1/2 c. toasted coconut weight). I had hoped the shortbread would be sturdy enough to stand up to some preserves. 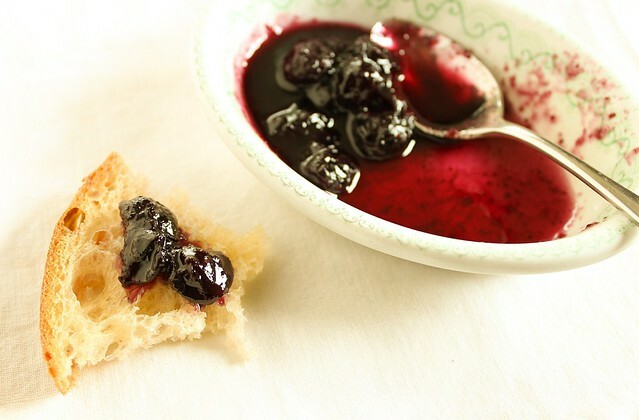 I cracked up the first jar of blueberry citrus preserves since jarring it up this Summer, and had to settle for it on some bare naked sourdough. I'm not complaining. I do feel like I have to rein in my sweet teeth; it seems all this talking about jam somehow ends up with me eating sweets again with gusto. So please forgive me if I seem absent. I've even been behind on reading my favorite blogs. (But after hitting publish, I am making time to read about this savory fig and goat cheese danish that I noticed this morning...) I won't give up on the gluten-free toasted coconut shortbread either. I just need to catch up a little, and enjoy the business of working hard for the next while. I know all too soon I'll feel the deep Winter chill of famine. Fortunately for me, I'm equally happy with both.